Glaucoma is 2nd leading cause of blindness and its prevalence is 2% in general population. Patients usually don’t notice visual loss till advance stage of disease. 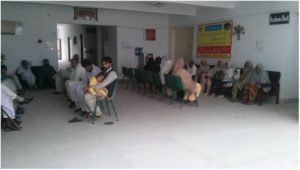 Early detection is the only way to save sight.Free glaucoma screening camp was organized by MMH Optometry team on 23rd March under supervision of Dr. Raza. The activity was advertised through press release, banners and posters. 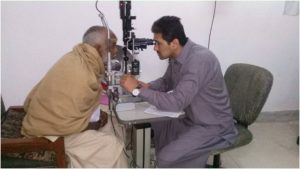 A total of 17 glaucoma patients were seen in camp in which 11 were follow up glaucoma patients and 6 were their family members above 40 years of age. 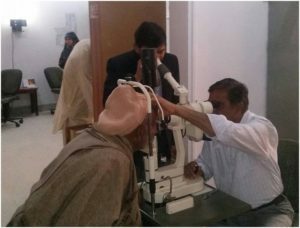 One female patient in camp was seen first time was suspected to have glaucoma. She was referred to a tertiary care center for further investigations to perform automated visual fields. She came in MMH camp with near vision complaint but her detailed examination made us suspect glaucoma. She also has family history of glaucoma.